PRIME-LA is a five-year concurrent/dual degree program focusing on the development of leaders in medicine addressing policy, care and research in healthcare for the underserved. PRIME-LA is one of four Medical Education Programs at UCLA. How long has the PRIME-LA program been in existence? This is the eleventh year for the PRIME-LA program. Our first PRIME-LA cohort of 18 students matriculated in July of 2008. Each UC Medical School has a PRIME, the other programs started prior to this year. What does PRIME-LA look for in a candidate? Qualified candidates will be evaluated using criteria that includes experience with and commitment to working with underserved populations as well as experience in leadership roles. Additional review of the strength of the application will include the core objective criteria of GPA's and MCAT's, a secondary application, letters of recommendation and for the final round of candidates structured personal interviews. At what point do I select between the 2 different PRIME-LA programs: PRIME-LA CDU and PRIME-LA Westwood? When you receive your Supplemental application, you will be given an opportunity to specify a preference for: PRIME-LA Westwood, PRIME-LA CDU, or Both PRIME-LA Westwood and PRIME-LA CDU. All applicants are given consideration for the MD program. If an applicant is deemed “acceptable” for both PRIME and the MD program, the applicant will have one interview, the PRIME Multi Mini Interview. This interview will be acceptable for the MD program. Is there funding for PRIME-LA? Students will need to apply to FASFA for financial aid. Medical tuition and fees are provided to PRIME-LA students during their 5th year. Will I take classes with the David Geffen School of Medicine at UCLA medical students? 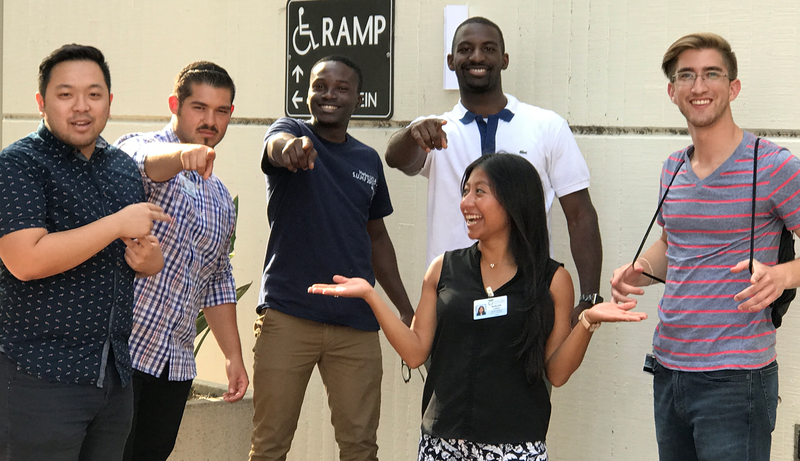 Students that are accepted to the PRIME-LA CDU and PRIME-LA Westwood will take classes at the David Geffen School of Medicine at UCLA. Students that have been accepted to PRIME UCLA/CDU will take classes associated with that program their final year. What is the Oldest MCAT scores considered? What courses fulfill the admission requirements for PRIME-LA? NOTE: Beginning in the 2018 admissions cycle, DGSOM at UCLA will be moving towards competency-based entrance requirements. When is the deadline for designating PRIME-LA on my AMCAS application? Is the application process for applying to PRIME-LA and the David Geffen School of Medicine at UCLA separate? 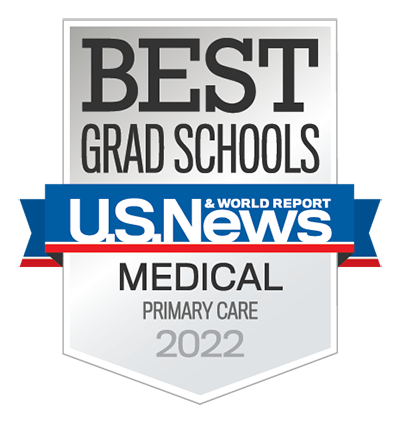 Applicants who wish to apply to PRIME-LA should select the Combined Medical Degree/Graduate program option for the David Geffen School of Medicine on your AMCAS application. Selection of this option will allow your application to be considered for both the regular MD degree program and the PRIME-LA dual degree program. Applicants who are interested in obtaining a dual degree, but are not interested in PRIME-LA, should opt for the Regular MD program. Will applying to PRIME-LA affect my David Geffen School of Medicine at UCLA application? Applicants who apply to DGSOM and select the MD-Graduate program option will be screened for both DGSOM and PRIME-LA program. If the applicant is acceptable for both DGSOM and PRIME-LA, an offer to interview will be extended. If the applicant is not acceptable for PRIME-LA, they may still be offered an interview for the MD program. Will applying to PRIME-LA increase my chances of being accepted to the David Geffen School of Medicine at UCLA ? When should I send my letters of recommendation to PRIME-LA? Please do not send in your letters of recommendation until you have been invited to submit a supplemental application. Once you have been invited to submit a supplemental, have one of your letter writters comment on you potenital and/or expereince with leadership in underserved communities. All changes in your contact information must be submitted to AMCAS in order for the change to be official. I have updates for my application (i.e. new research, publication, employment, etc...). How can I inform PRIME-LA about these updates? While you can submit updates via email, please note that they will not be part of your primary application. They will not be considered in the screening process for a secondary or an interview. When is the latest I can take the MCAT? The MCAT must be taken not later than September of the year preceding admission to the School of Medicine. After January 2018 (when the old MCAT reaches expiration), only the 2015 MCAT will be acceptable. Can I meet with someone at the PRIME-LA admissions office to discuss my application and possibly provide some feedback? In order to maintain a fair process for all applicants the Admissions Office cannot meet with applicants in person. Please email us any questions you may have and we will be happy to answer them. I have turned in my secondary for the David Geffen School of Medicine at UCLA ; do I still need to turn one in for PRIME-LA? Yes, once PRIME-LA receives your primary application from AMCAS we will screen applications on a rolling basis. Qualified candidates will be evaluated using criteria that includes experience with and commitment to working with underserved populations as well as experience in leadership roles. Additional review of the strength of the application will include the core objective criteria of GPA's and MCAT's, a secondary application, letters of recommendation and for the final round of candidates structured personal interviews. Once I receive my supplemental application from PRIME-LA, how long will I have to turn it in? 30 days after the date of the supplemental application request letter, or November 21, 2018, whichever is earlier. Please do not send in your letters of recommendation until you have been invited to submit a secondary application. Can I request a deadline extension for submitting my secondary application? Yes, extensions will be granted on a case by case basis. Please e-mail the David Geffen School of Medicine at UCLA Admissions Office for extension requests at AdminOff@mednet.ucla.edu. When is the last day PRIME-LA will send out supplemental application invitations? Will I receive a confirmation email when my Secondary Application and pictures are received? I did not receive a secondary application. Is there are an appeal process? We do not accept appeals. All decisions are final. When will I be notified if I have been granted an interview for PRIME-LA? When are the interview days for PRIME-LA? Where will I complete my masters program? PRIME students can choose the programs they want to apply to and matriculate in. Most participants will complete their graduate work at UCLA however; we have had students complete their master’s degree at Columbia, Harvard, Johns Hopkins, UC Berkeley and UC San Francisco. Do I need to take the GRE, GMAT before applying to PRIME-LA? No, however please note that students who wish to apply for the MBA program during their master’s year will need to take the GMAT before being accepted to the MBA program. Where can I find my admissions status for PRIME-LA? Please note that receipt of 2018 AMCAS applications will be confirmed only if a supplemental application has been issued. We CANNOT confirm receipt of 2018 AMCAS primary applications at this time. What is the best way to contact the PRIME-LA office? The best way to contact the PRIME-LA office is by e-mail at:UCLAPRIME@mednet.ucla.edu. Please allow at least 3 work days for a response.